As requested by one AT&T G Vista LG D631 user, we here share with you the G Vista LG D631 Stock tot firmware! The zip is hosted on mega.nz, you will need a key to download the firmware, Please contact us at lgkdz@hotmail.com to get the key and full download URL. The firmware is for AT&T G Vista LG D63 only! It is software version v10b. You can use LG UP 1.14 or LG Flash Tool 1.18 to flash the tot firmware onto your phone. Because AT&T Cell phones support FOTA software update only, So we can not download kdz firmware with IMEI! 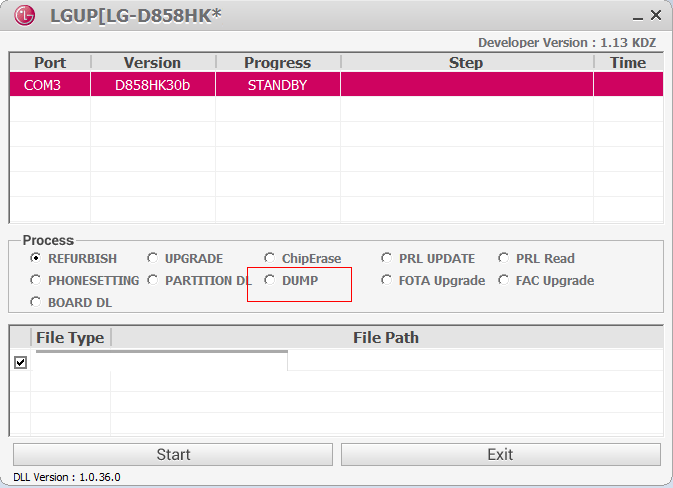 The TOT firmware for LG D631 was obtained by someone from LG official repair Shop or LG Factory. How to get stock firmware for my AT&T G Vista LG D631? if you have a working LG D631 phone, You can use LG UP for the developer to dump the firmware from it and then flash it back to a software bricked LG D631 with LG UP.